Curb appeal is the most important because the old saying about you only have once to make a good first impression. You want the potential buyer to drive up the street and say “oh wow love the front door” and not “look at those overgrown bushes and ugly roof”. You want your house to stand out in all the right ways. 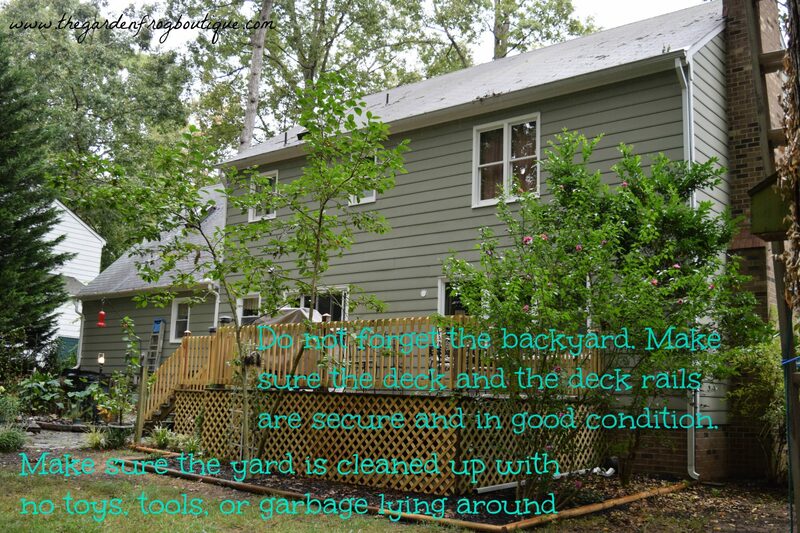 Add a fresh layer of mulch and mow the lawn even if it is just weeds. Put a pot of flowers by the front door and make sure the entrance to the house is clear of any clutter, debris, and spider webs. Pay someone to power wash the house. I cannot express how important it is to do this. A potential buyer is not going to be impressed with green slime growing on the siding and roof. It also can give the wrong impression to a buyer that you neglected regular maintenance and improvements which will scare some buyers off. If you see peeling paint, then scrape it and paint. Buyers do not want to see peeling paint. Paint the front door. 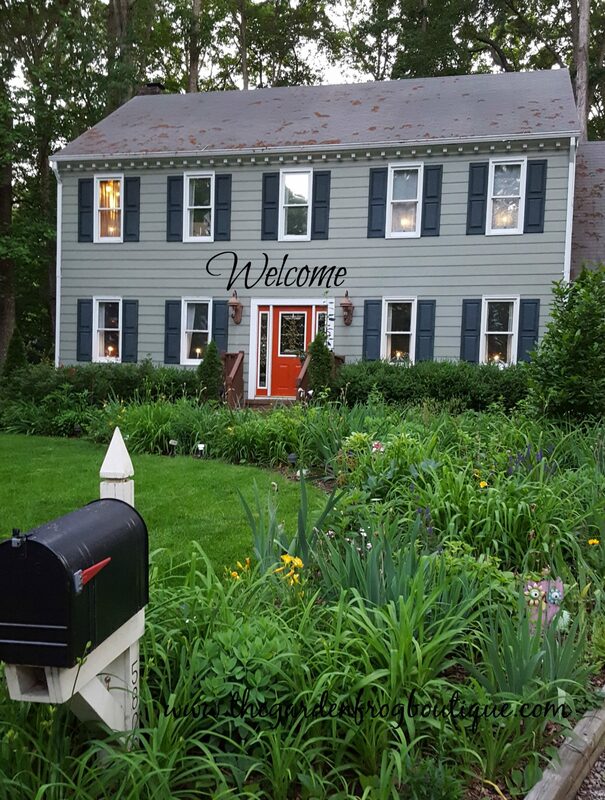 Pick a color that compliments the siding and shutters such as a Red, Blue, or Black door. 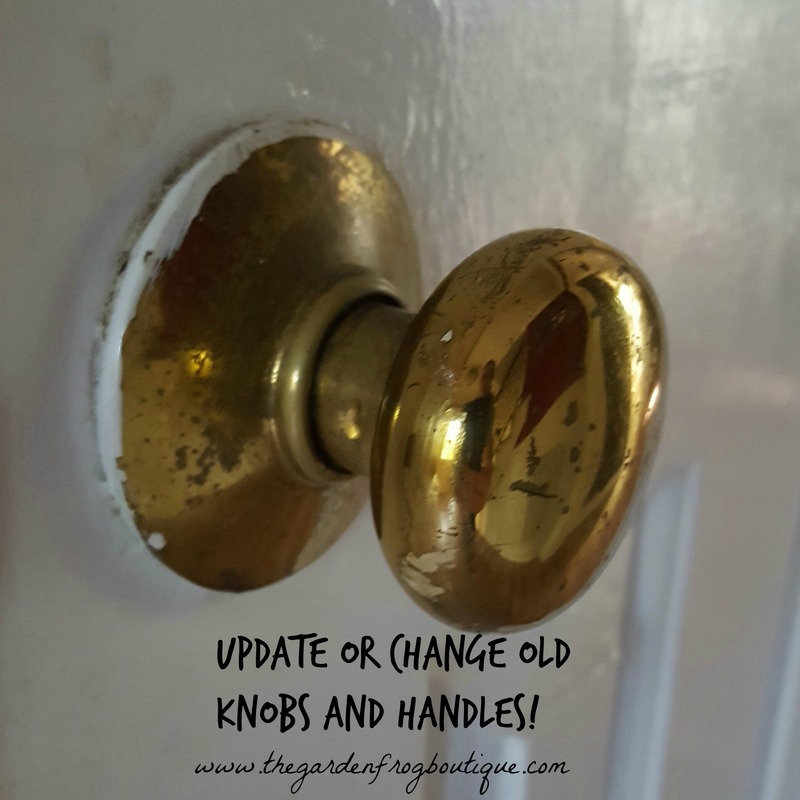 If the hardware on the door is peeling and rusting, then change it! 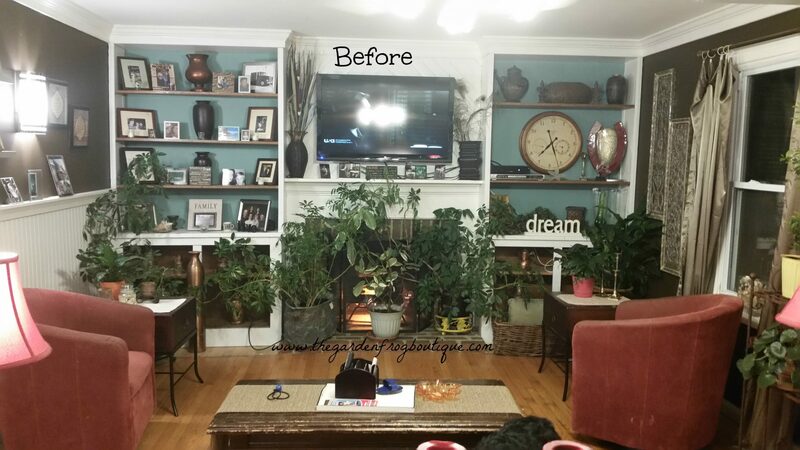 My favorite paint which I used last fall was Behr Marquee from The Home Depot. You only have 1 time to make a first impression! You hear realtors talking about kitchens and bathrooms. Kitchens are the hub of the home and is the one room in the house that can bring a family together and entertain friends. 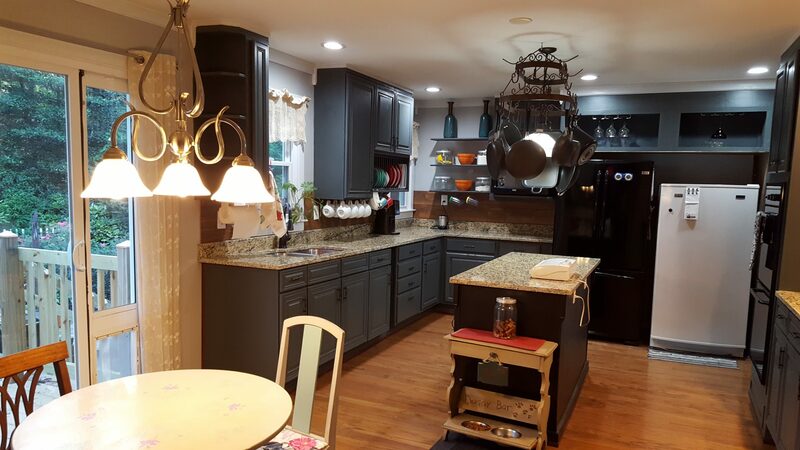 Kitchens that are clean, de-cluttered, and updated will influence the buyer. If you have a tight budget, then spray paint the hardware, light fixtures, and other accessories to freshen them up and give them new life. Take that toaster, canister set, and any rarely used small appliances and put them away. Clear off the counter to make the kitchen look roomier. Cabinets overflowing? Remove and pack away seldom used dishes and remove any knick knacks and trinkets. Clean the cabinets inside and out and organize. The little touches will help. Bathrooms are a topic that should be discussed too. Everyone uses a bathroom and this is a room in the house that gets used a lot. Change out the toilet seats, change the wax rings, and give the toilet a scrubbing. Change the faucet if it is old and ugly. Take down the towel bars and toilet paper holder and spray paint them to give them a new updated look. Clean the tub and shower and change the shower curtain liner! Do not let anyone see any mold or mildew or dirty toilet because that will turn a buyer off in a heartbeat. Declutter, clean, and neutralize your house. This is so important. A potential buyer does not want to see a thousand pictures of your kids, dogs, and wedding. 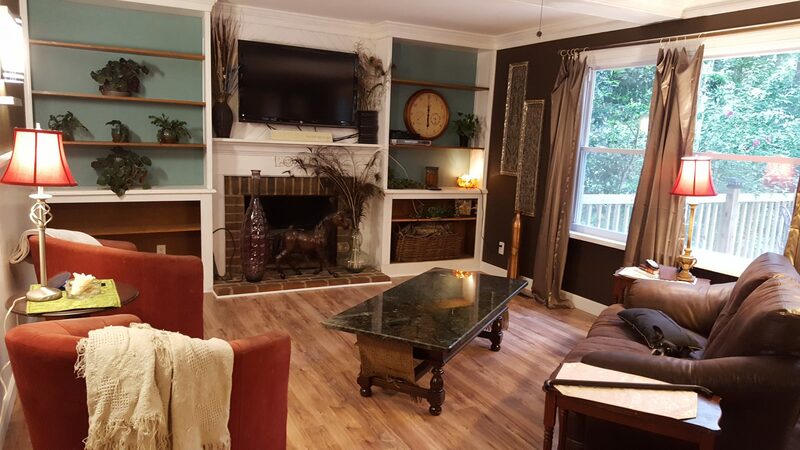 They want to walk in the room and see freshly neutral painted walls and gleaming white trim. 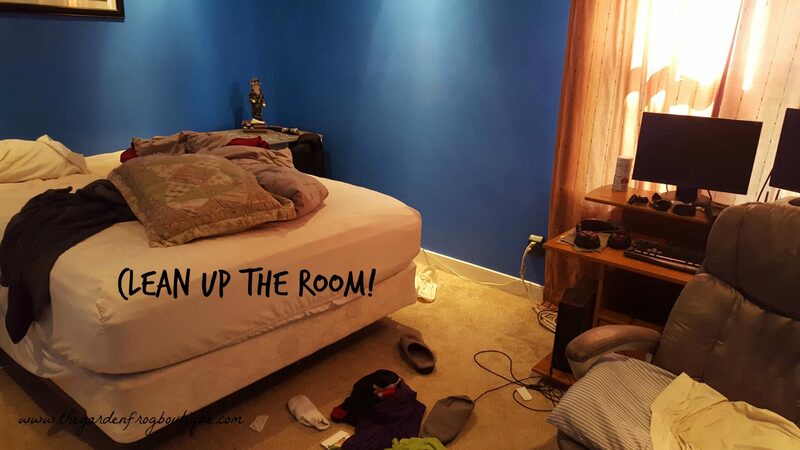 A buyer will be turned off if the house is full of color and chaos. Pack up your the artwork your kids made, the family pictures, and the stuff you do not use. You need to make the house appear larger than it is and you need for the potential buyer to see and imagine your house as their new home. Buy a home warranty for the house. This can help sell your home especially if the appliances, plumbing, and heating and cooling systems are not updated. You want to give the buyer peace of mind if they buy. 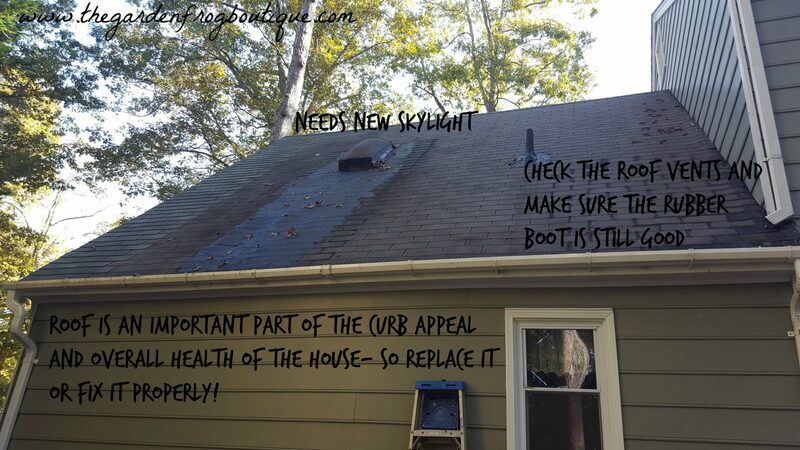 A new roof is a must if you want top dollar. If the roof is close to the end of its lifespan, this will decrease the value to the potential buyer. No one wants to buy a house with a leaking roof or missing shingles. If you have carpet, have it professionally cleaned. If the carpet is in bad shape, then tear it up and replace it. A great and inexpensive flooring is Trafficmaster laminate flooring from The Home Depot. For around $1.08 a square foot, this is a deal. I have this flooring and it looks great and is durable. 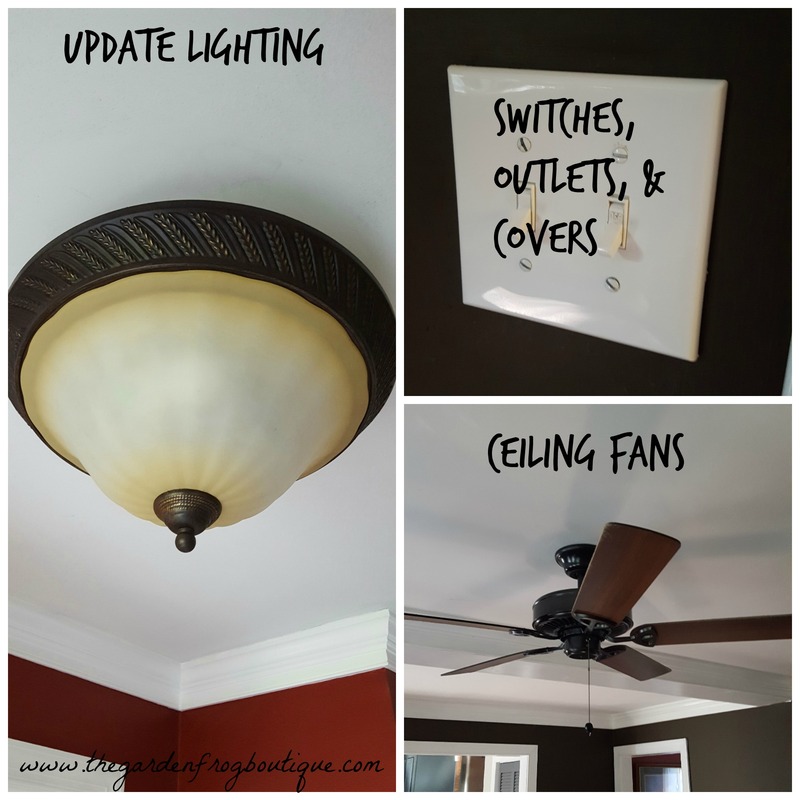 Another must is to update the light fixtures and any knobs, door handles, and hooks. If you are on a tight budget, then I highly suggest spray paint. 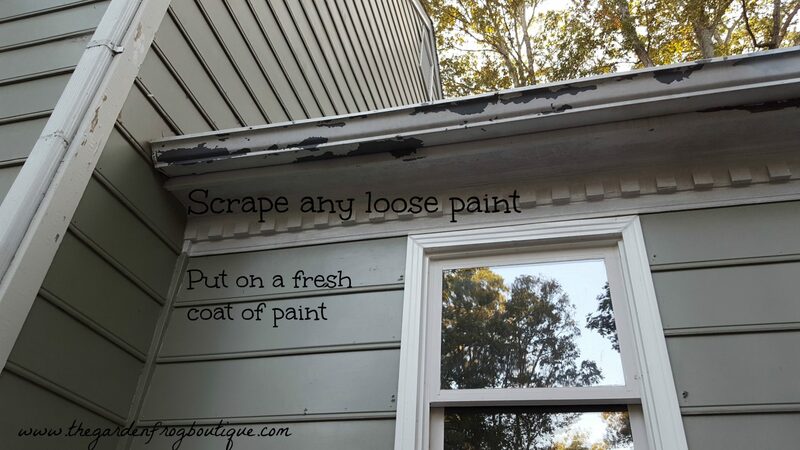 (My favorite is Rustoleum Hammered to hide flaws). Turn that ugly brass light fixture into a stunning fixture in the room. If the door handles are looking old, spray painting can improve their appearance and update the room. Replacing painted or dingy outlets and switches and covers with clean white ones will make a world of difference. 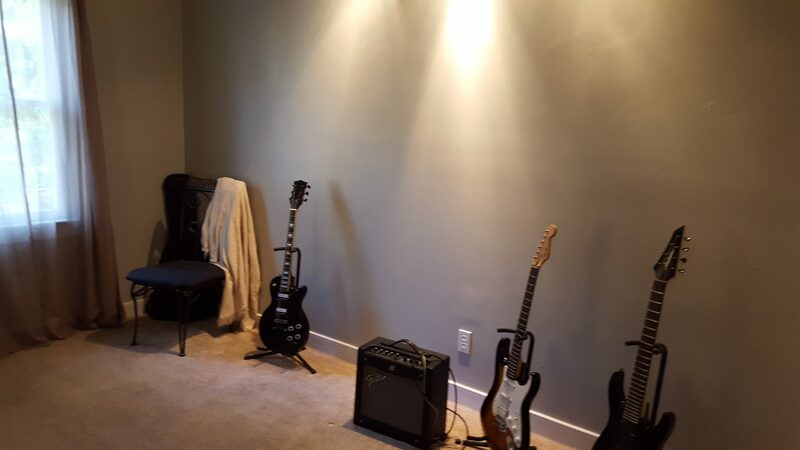 I am currently selling my house after 8 years of renovating. I had to do many things to prepare for this emotional time and I know that first impressions are the lasting impressions of a potential buyers hunt. If you want top dollar, you have to make improvements and updates. I know this because I am hunting for a new home and these tips I have shared are what I think about when looking. Walking into a clean and clutter free house is what a potential buyer expects. And always have your house clean! Thanks for stopping by and reading. I hope my tips are helpful to you if you decide it is time to sell your house. I have been through this a few times and know that this can be a stressful time. Take one project at a time and do it. Give yourself a timeline and a budget. And take one day at a time. My husband and I are thinking about selling our home and moving into something a little larger. I’m expecting twins towards the end of the year. Having a larger home will make things a lot easier. I love your tip about replacing things like toilet seats and changing the faucets in the bathroom. If we do end up selling our house, we’ll want to make sure and use a professional and get the house looking great! The little things can sell a house. I found that out. 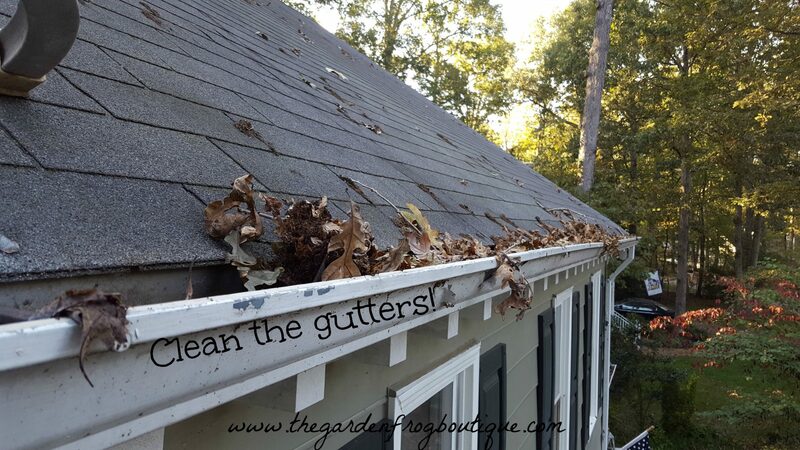 Declutter and thoroughly clean inside and out. good luck and contgrats on your new adventure with twins! 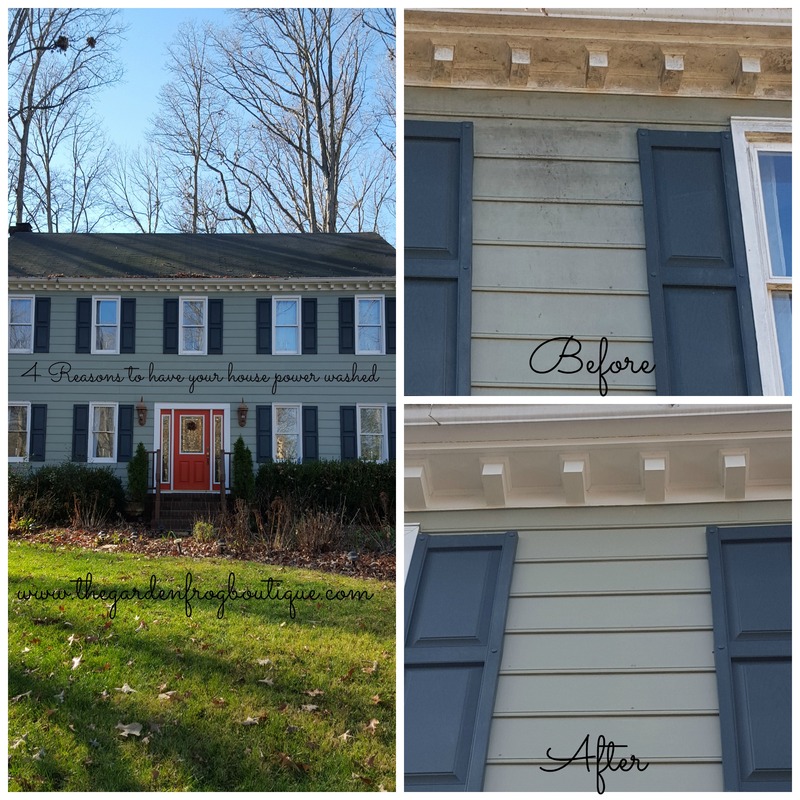 Could not agree more with you Renee about the curb appeal, indeed we must keep the house in top shape, externally, internally, being a roofer, I give top importance to the roof, sliding and gutters. But the funny thing is that, there are some home owners who actually are motivated and they do not have money to repair their homes and even then they try to make some cosmetic changes to increase the curb appeal and try to sell it at top price, which remains unsold for long and ultimately end up becoming a business of a wholesaler at dirt cheap prices. Such great tips! I love the attention to small details, like switch plates and outlets. Thank you! the small details can make a big difference! All great tips! Especially the clean your house part! Clean the house is so important! This is a comprehensive guide to getting your house ready! Dangit Lady… I enjoy house painting… Give me a yell when your ready and the weather cooperates! I owe ya! I may have a project or two!